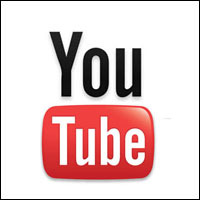 The concept of viral ads or web videos was introduced to our lives with YouTube around 5 or 6 years ago. These branded ads, or commercials offer a significant chance for business to really hit the big time and advertise their product on a huge scale and without having to pay networks for the advertising space. The recent growth of the web has seen it the case that many of the viral marketing hits have been in the recent years. Though there have been some huge successes before YouTube’s popularity, with the Pepsi ad featuring Britney, Beyonce and Pink, which appeared on TV in 2004 doing well among viral marketing videos. The key to great viral video is gaining interest, keeping it and creating something that people get excited about and want to share as it reflects a part of them. This reflection allows people to willingly put their name to something in the social media sphere. The Evian babies commercial is probably one of the most infamous commercials of recent years and has even spawned its own line of t-shirts. The advertisement which puts a number of t-shirts with baby images on adults and uses a stop/start motion to create a memorable video is certainly a very unforgettable hit with people in all walks of life. The rebirth of Old Spice was accompanied by this advertisement which turned its star Isaiah Mustafa into a character as well known as most house hold sports people. Its play on humor, play masculinity and plain silliness means it is one of the most ridiculous advertisements ever to go viral. If the likes of American Basketball legend Kobe Bryant and talk show host Jimmy Kimmel can play Call of Duty then why can’t we. Set to the timeless ‘Gimme Shelter’ by the Rolling Stones it’s a colossal advert that deserves its place among the best of the viral ads in existence. The highest hits of any viral video ever, this Blendtec advertisement was made in house and is everything a viral video should be. Created to be a silly play on science, using all sorts of popular consumer products, such as Justin Bieber’s autobiography and his model to give us a laugh and a little of the forbidden malevolence in all of us. The German car giants Darth Vader advert where a small child plays the dark sides poster boy is a hilarious and well thought out advert. The child, who is dressed as the dark lord tries to use his ‘Jedi mind tricks’ on a number of everyday household implements, before making the effort to try and move the VW in a final throw of the dice to interesting effect and a great advert. These ads are everything a viral advert should be and are some of the best ever in our opinion. What do you think? We would love to hear your all time fav’s via the comments.